Stomata, pores in the plant epidermis that regulate gas exchange, are a key innovation that enabled freshwater algae to colonize Earth’s landmasses some 500 Mya. 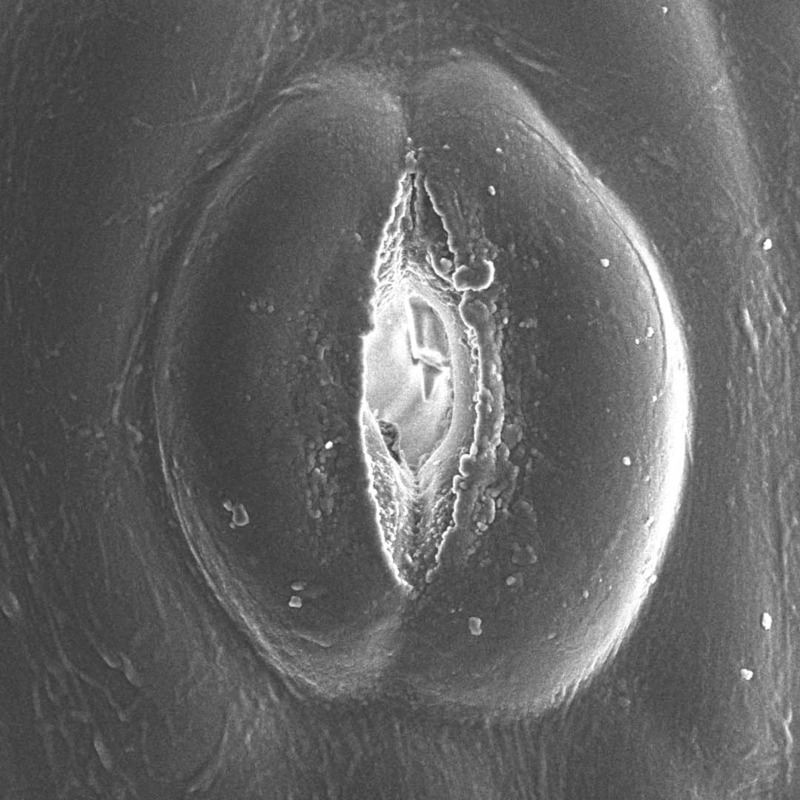 Because stomata in bryophytes occur on sporangia, they are subject to different developmental and evolutionary constraints from those on leaves of tracheophytes. No conclusive experimental evidence exists on the responses of hornwort stomata to exogenous stimulation. Pressel and colleagues investigate stomatal behaviour in hornworts. They investigated responses of hornwort stomata to abscisic acid (ABA), desiccation, darkness and plasmolysis and compared these with those in tracheophyte leaves. Potassium ion concentrations in the guard cells and adjacent cells were analysed by X-ray microanalysis, and the ontogeny of the sporophytic intercellular spaces was compared with those of tracheophytes by cryo-scanning electron microscopy. They show that there are no potassium fluxes associated with hornwort stomata, and that these do not respond to external factors (abscisic acid, desiccation, darkness and plasmolysis), which cause stomatal closure in other land plants. Their results run counter to the notion that active stomatal control was acquired early in the evolution of land plants, and support the alternative hypothesis of gradual acquisition of active control mechanisms.